Some of my fondest memories growing up are from ski holidays with my family. They always offered just the right mix of adventure, challenge, and most importantly, time together. 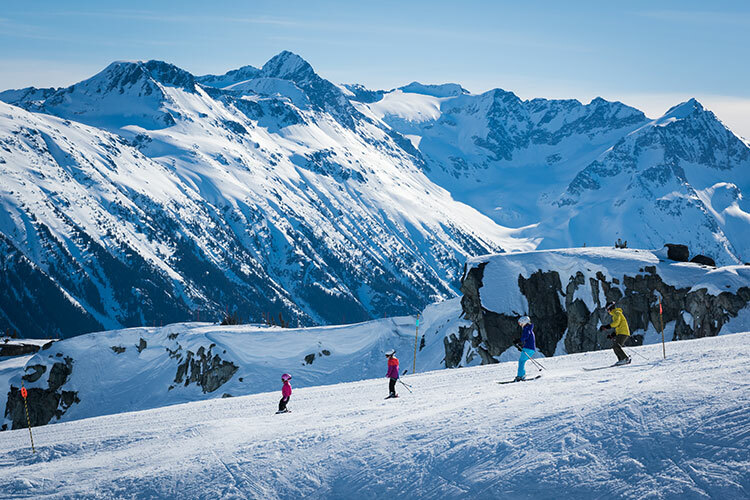 Whistler has these key elements in abundance, and with the help of these tips and suggestions, planning an incredible family vacation will be effortlessly fun. As your home base on vacation, finding the right accommodation is the place to start when planning a memorable trip. 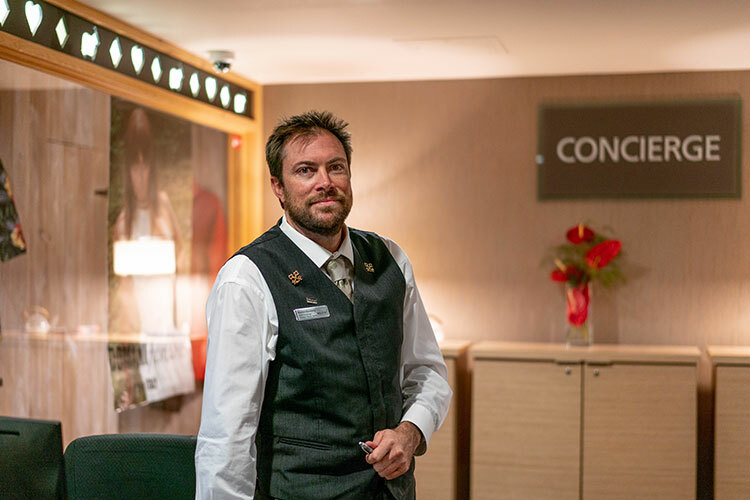 Central locations right on the Village Stroll like the Crystal Lodge have the advantage of being close to restaurants and lifts, which make it easy to pop home for a quick break and rest before the next activity. Hotels like the Westin have kitchenettes in most of their rooms, which is perfect for families with younger children and avid snackers. Legends and the Horstman House both have games rooms, which is great for older kids who like a bit of independence while parents can rest assured they’ve not strayed too far. 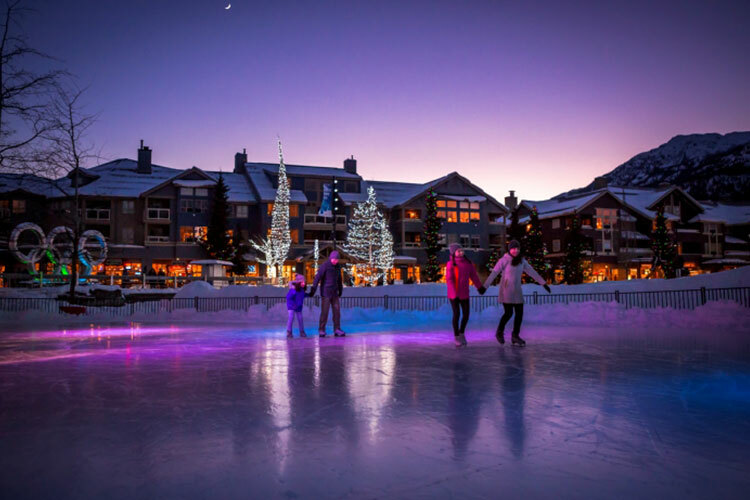 The Fairmont Chateau Whistler goes above and beyond with its event programming, especially around festive holidays which means entertaining the kids just got a touch easier. 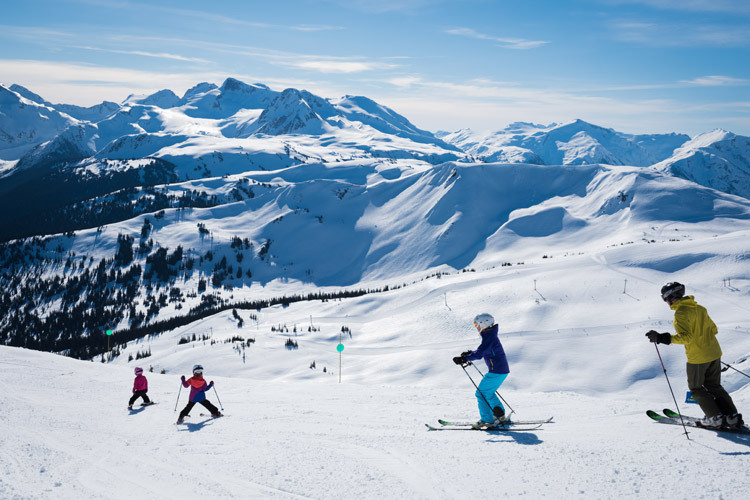 If your kids are in ski school on the mountains check whether the drop-off location is in the Village, Upper Village, or in Creekside, make it easier for yourself by booking accommodation that’s not too far away – lugging kids ski gear is not fun. A pool is another great kid activity for after a day on the hill so check in to see if your top choices have one so you can soak in the hot tub while they do some energy-sucking laps. For more insider knowledge connect with the Whistler.com team to chat about your family and which options are best for you. After a day of navigating airports with kids, your best option is to leave the driving to a professional. You can kick back, relax, take in the view, and maybe even catch some Z’s so you can arrive fresh at your hotel. Your options range from coaches to private charter vans and SUVs. If you’re travelling with a large group, the private charter can even work out cheaper per person than the coach. 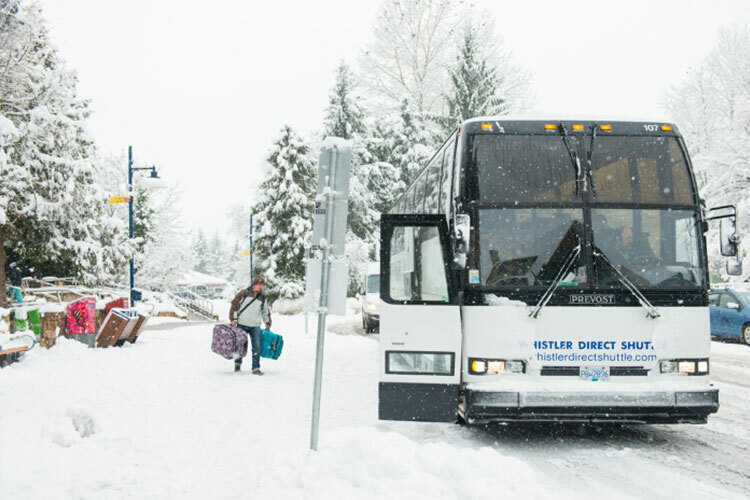 Once here, Whistler is set up as a pedestrian paradise, so you can pretty much get anywhere effortlessly on foot, public transit, or by activity shuttles. 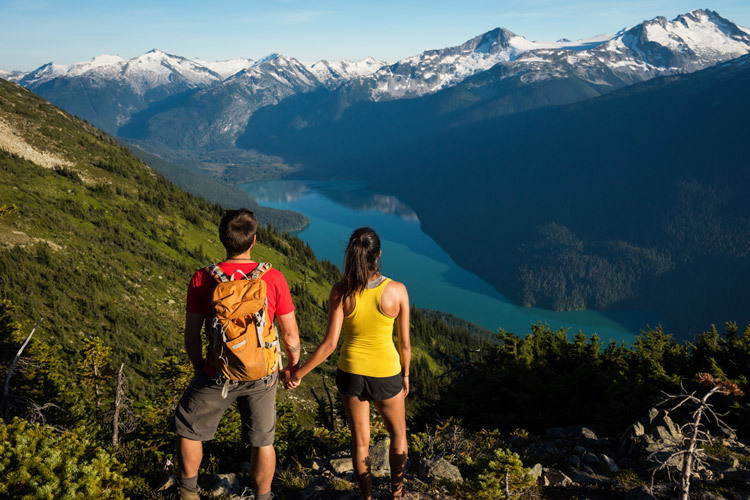 With endless activity options, you would have to try pretty hard to be bored in Whistler. When you’re done skiing for the day, or if you want a rest day, there is a whole range of activities you may have never considered. From the tiniest little bundles, to independent teenagers, here are some sure activity winners that will keep everyone happy. 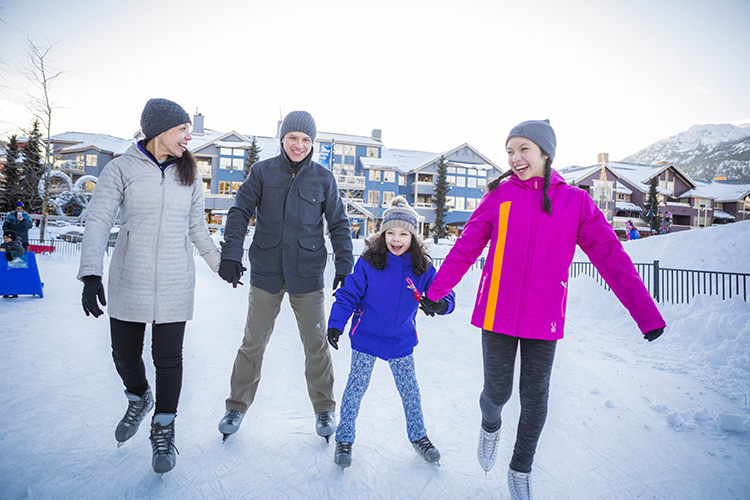 Spend family time gliding through a winter wonderland at our free public rink in the heart of the Village. No need to pack skates, they have rentals ($6) right at the rink to get you geared up. There is no better family bonding activity than a day spent exploring our mountains together. Check out this kids trail map to find on-mountain hideouts like the Treefort (Whistler Mountain) and Magic Castle (Blackcomb Mountain). If your family needs a few tips on their technique consider taking a private lesson where the instructor will tailor the day specifically to your needs. Does your family have a need for speed? 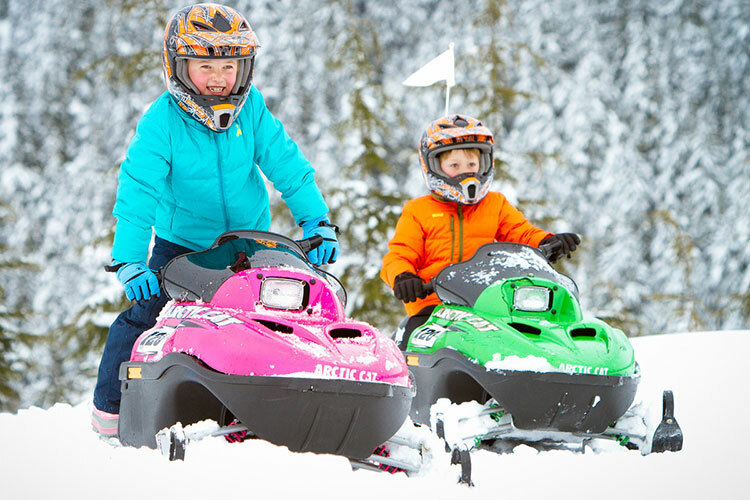 A family snowmobile tour is a great way to explore our forests mountains and valleys. They even have mini sleds your kids can try on a specially-designed track. Enrolling your kids in lessons will not only help them learn new skills, but they will also love having a built-in group of friends to play with while on vacation. Make sure to book these in advance as they do sell out over peak time periods. 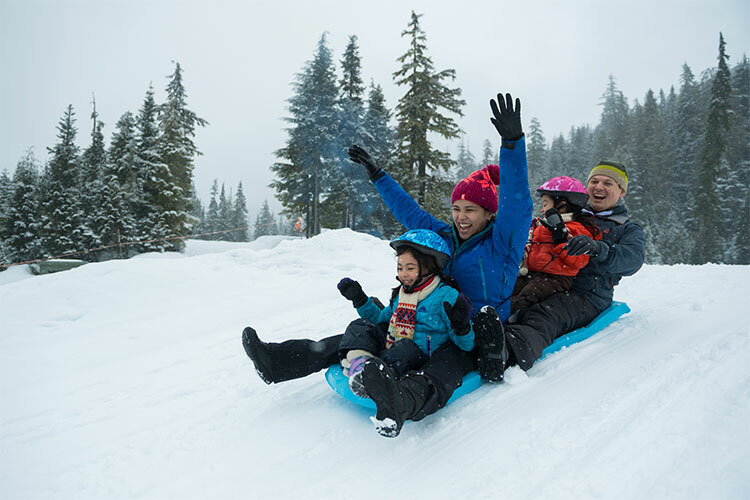 Going tobogganing is a winter staple, and Whistler Olympic Park makes it easy. They have sleds for rent on site and even a cozy fire pit to help keep you warm between laps. Snow tubing is like tobogganing without having to walk back up hill. If you want to have some fun on snow, without being the sled donkey for the kids, you’ll love this activity. Travelling with kids under two? No need to miss out on all the fun. 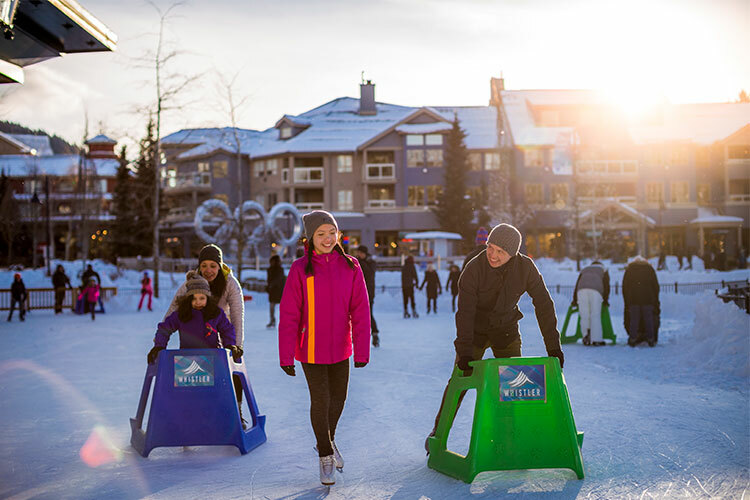 Fellow insider Dee Raffo has put together a guide to visiting with your littlest ones in tow: A Whistler Mom’s Guide to Fun with Babies in Winter. Teens can be the most self sufficient kids on the trip, but often the hardest to please. 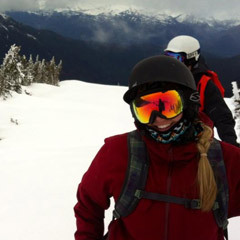 Whistler has some out-of-the-box activities that even they will love. You can put their brains to the test with the challenge of escaping a puzzle-filled room at Escape! Whistler, or they can work out their teenage angst throwing sharp edges at Forged Axe Throwing in Function Junction. Of course if you’re really stuck, Village 8 Cinemas is a safe bet for a family movie night. Food is the fuel for your adventures, and we have no shortage of options to help fill your tank. Dining with kids can be notoriously difficult, but with our wide range of options from kid friendly, fast grab and go, delivery, to cooking for yourself in your accommodation, even your pickiest eaters will love it here. Our event calendar is stacked with family-friendly events, many of which are FREE for you to enjoy. Every Monday and Wednesday from Dec 17–Mar 27 Olympic plaza is transformed into a family winter wonderland for Family Après (3–6 PM). The experience changes week by week, but you can expect music, hot drinks and snowy activities for all ages. You’re going to want to be here on Sunday nights. 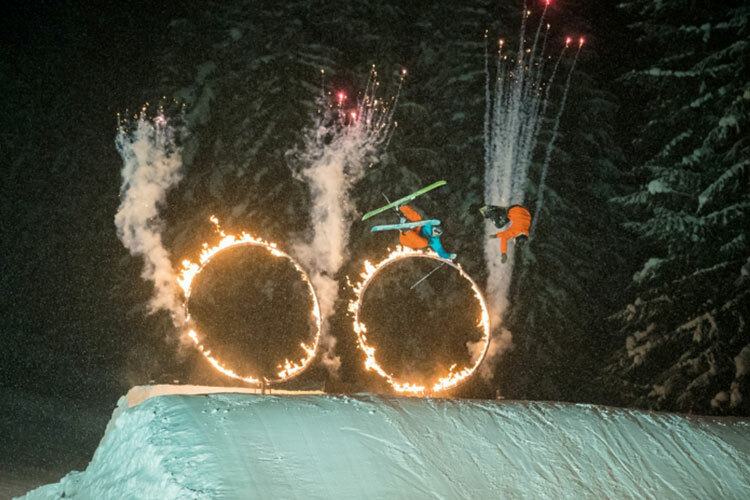 Featuring live music, fireworks and pros doing tricks through flaming hoops, the weekly Fire & Ice show is a local favourite. After a day of active outdoor fun a great way to slow things down a bit and take in some art and culture is bring your kids to Family Studio Sundays at the Audain Art Museum. You can check out the exhibit then even get to make some art of your own. 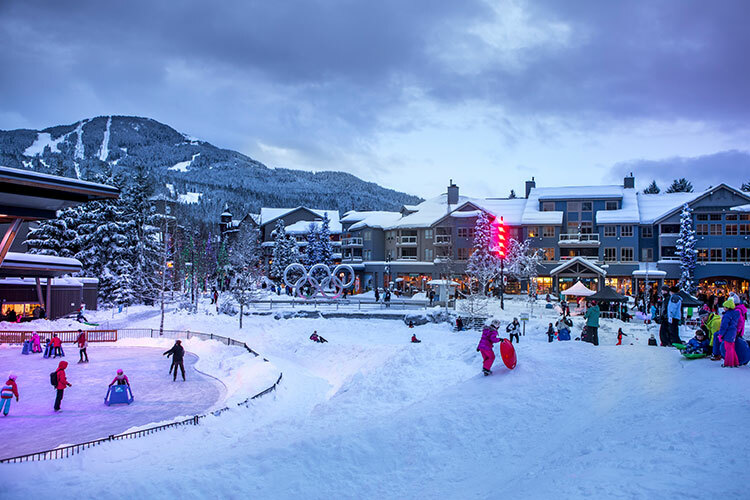 If you’re lucky enough to be visiting Whistler over the holidays you’re in for a treat. 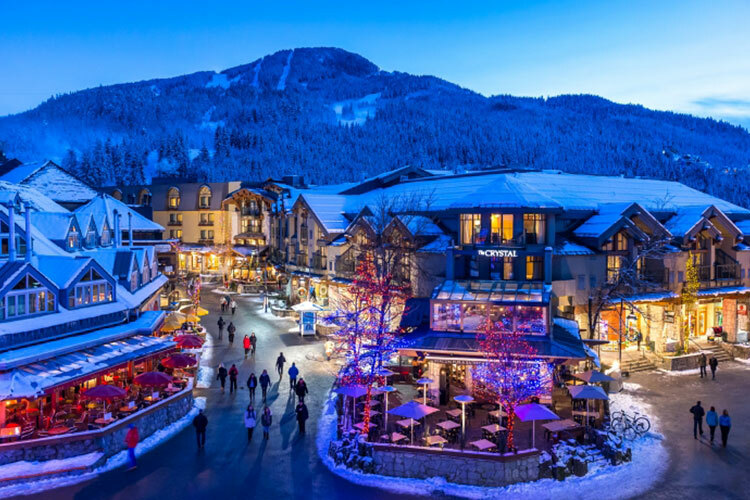 Whistler really pulls out all the stops to make the Village a truly magical place to celebrate. For an indoor winter wonderland, our Conference Centre is transformed into a kid’s play paradise complete with tasty treats and bouncy castles. You can enjoy all your favourite parts of Christmas while here. Whistler Cooks and The Fairmont Chateau Whistler both offer complete traditional turkey dinners you can enjoy at your accommodation. There is even a service that arranges Christmas trees for your rental. As much as you love your kids, it can be nice to spend a bit of time with just the adults. While you’re out for a kid-free dinner, drink, or activity, they can enjoy their own parent-free time. 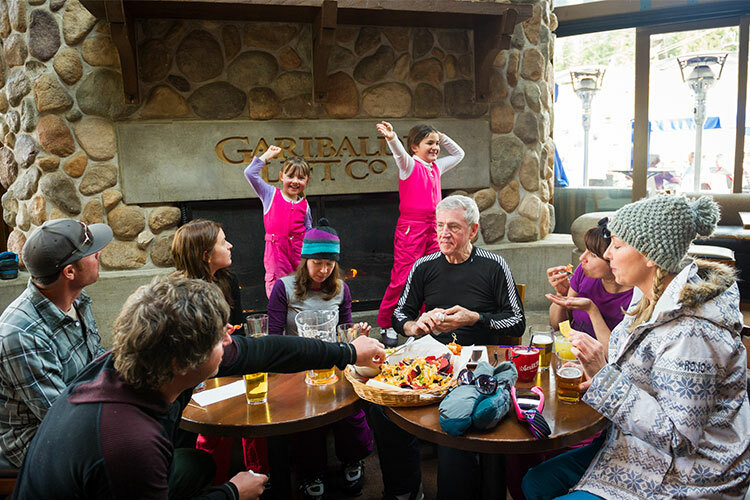 A great option for kids is The Core’s Climb and Dine program, or you can arrange a babysitter for the night to customize the time for whatever your kids like. Whistler has so much more to learn about than I could ever fit on this list. To tap into more planning intel, Whistler.com insiders are always there with great advice, and to help you secure your bookings. Megan is a mountain adventurer guilty of breaking the golden rule, telling everyone her mountain secrets (ok, maybe she keeps a few to herself). Ontario by birth, and now Whistler by choice, even a decade later, the mountains still take her breath away.